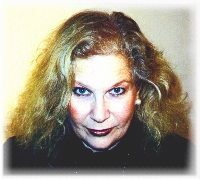 For over forty years the unique photographic imagery of JILL LYNNE, a multi-generational New Yorker, based in NYC's Greenwich Village, has been exhibited, collected, and published internationally - with over fourty solo exhibitions, representation in important gooup shows, museums and prestigious private collections. In August 2002, Lynne was awarded with a coveted Artists Grant from the New York Foundation For The Arts for being an "important artist…and vital to the community". In November, LYNNE - who is noted to be the first woman to use computer technology to enhance photography (in the mid 1970s)- exhibited her recently redigitized five-foot VINTAGE: "POP ICON Series"(1975-2004) at South Beach's A.J.Japour Gallery. In August 2003, Professional Photographer Magazine published a feature "Art and Portraits… Jill Lynne Says They Are Often One And The Same". Currently, LYNNE is working on two photography book projects, "X Posed: From The Chic To The Sleazy; A Decade 1975-1985" (digitally enhanced portraits of the nite-life scene}, and "Natura Viva, Natura Morta" (environmental images with poetry}. In April 2005 LYNNE was honored with being the first Artist to have a retrospective exhibition in the atrium of the Dcota (The Design Center of The Americas). In August 2003, LYNNE's Photography was exhibited at a private showcase in Southampton. In June 2002, LYNNE's portrait photography was presented in a Solo Exhibition in Greenwich Ct. and in July, her groundbreaking vintage 3m Color-in-Color Machine prints were showcased at the Bernice Steinbaum Gallery in Miami. In 2000 LYNNE's work was showcased in a retrospective including photographs dating from 1972, at the Sara Y. Rentschler Gallery, Hudson, N.Y.
Additional one woman shows include the Aoki Gallery, NYC, the Everglades Commission Conference, Florida, the International Center for Photography, NYC, the Witkin Gallery, NYC, the Neikrug Gallery, NYC, the Watermill Museum, Southampton, N.Y., the Hampton Classic, Southampton, N.Y., the Helander Gallery, Palm Beach, the Photo-Cine Club, Paris, and the Gallery Monte Carlo. Group exhibitions and collections include the Cooper Hewitt Museum, NYC, the Everson Museum, N.Y., Eastman House, Rochester, N.Y., The Center for Photography, Woodstock, N.Y., the Fashion Institute of Technology, NYC, Harkness House, NYC, the Alternative Museum, NYC, the Johnson Museum at Cornell University, N.Y., the Boca Raton Museum of Art, Florida, the Museum of Fine Art, Worcester, Mass., the Museum of Fine Art, Ohio, the Milwaukee Center for Photography, the Egizio Panetti Gallery, NYC, the Bibliotheque Nationale, Paris, Officio del Arts, Paris, and the Henry Buhl Collection. LYNNE studied under the tutelage of the renowned Ilya Bolowtowsky at NYC's Art Student's League. Further studies at SUNY, New Paltz, UC Berkeley, and City College, NYC, won her a Bachelor's Degree in Fine Arts and a Masters in Art History. LYNNE's Photographic mentors include such eminent individuals as Lisette Model, Barbara Morgan, Benedict Fernandez, and Cornell Capa (Founder of the International Center for Photography) and the late Collector and Gallery Director, Lee Witkin. LYNNE is known for her use of now-extinct technologies - the first computer process for photography, introductory color Xerox, and 3m color-in-color, as well as developing unique in-camera methodologies. LYNNE's Art delves into the surreal world of fantasy while making strong statements about women's roles, the environment, and other socio-political issues. Her imagery explores the evolution of lifestyle, nite-life, the art world, fashion, chic society, underground culture, diverse sub-cultures, flora, fauna, and the equestrian world. LYNNE's environmental work -including photography and advocacy for the Hudson River Park Conservancy -was celebrated in a special ceremony in which she received an official parks name badge ("Roaring Lion" - her Native American name) from former Parks Commissioner Henry Stern. In addition, for three decades she has turned her camera to the flora and fauna of South Florida, with a special emphasis on the disappearing habitat of the Everglades. LYNNE has been honored with a special exhibition showcase at the Everglades Commission. LYNNE is known for her commissioned portraits of hi-profile individuals in society, entertainment and politics, as well as NYC's families and children. Recent commissions have included Gorbachov (CNN), and the Clintons (the Intrepid). In addition Simon & Schuster has published her spiritually based short story/ vignettes "The Great Perrier Wash", "The Miracle Bus", and "Angel Annie'. With a background also in arts education, and administration, Cornell Capa handpicked LYNNE for the first faculty at the International Center Of Photography. LYNNE has served as a member of the faculty at Rutgers's University, and Parsons/the New School. As Director of the photography program at the Women's Interart Center, and the PHOTO*FLOW Programs, LYNNE received grants from the New York State Council On The Arts, the National Endowment for the Arts, and IBM to coordinate programs involving such greats as Mary Ellen Mark, Ralph Gibson, Ruth Orkin, and Barbara Morgan. In addition, she developed the model workshop program for the Center for Photography, Woodstock, New York. LYNNE regularly gives guest workshops and lectures as well as curating exhibitions in design and the arts. LYNNE has served on many charitable benefit committees as well as producing dozens of consciousness and fund-raising Events for such important charities as the Red Cross, the Nature Conservancy, Gods Love We Deliver and WNET/Channel Thirteen, as well as being a spokesperson for such not-for-profit organizations as the Rainforest Alliance.